Natural stone used for paving is very strong and dense, as well as resistant to extreme weathering and freezing temperatures. This makes it very suitable for both pedestrian and vehicular traffic. Stone is cut from the quarry and hand finished into very precise units. These can be treated different ways to produce a wide range of finishes. They may be tumbled, antiqued, chiseled, sandblasted, flamed, honed and polished for a mirror finished or a battered old-world appearance. 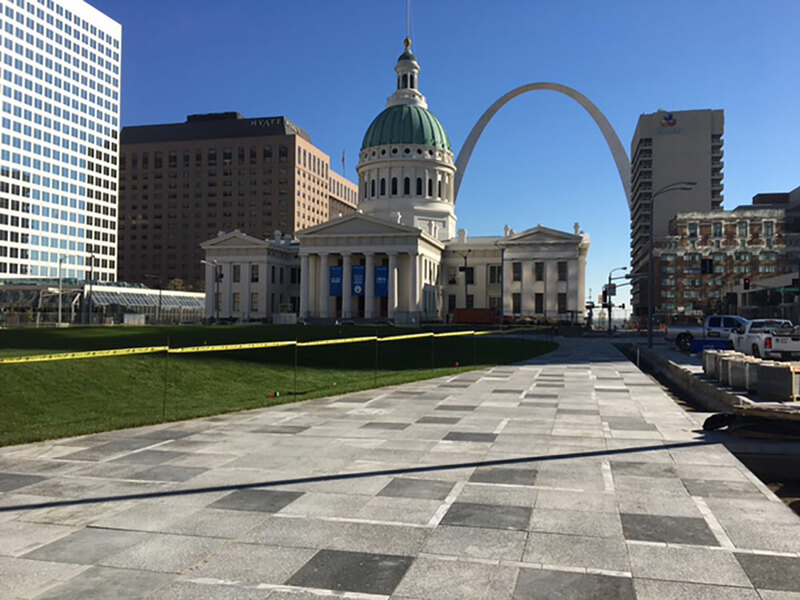 Natural stone pavement projects provide a luxurious feel and look to pavement surfaces while blending into the architecture and surrounding environment. Stone pavers are made in a wide range of sizes. Larger slabs are growing in popularity for paving, particularly where a uniform appearance is desired as is the case with modern architecture. The weight and strength of these units, which are virtually unlimited in size, provide a wide range of options for the designer. 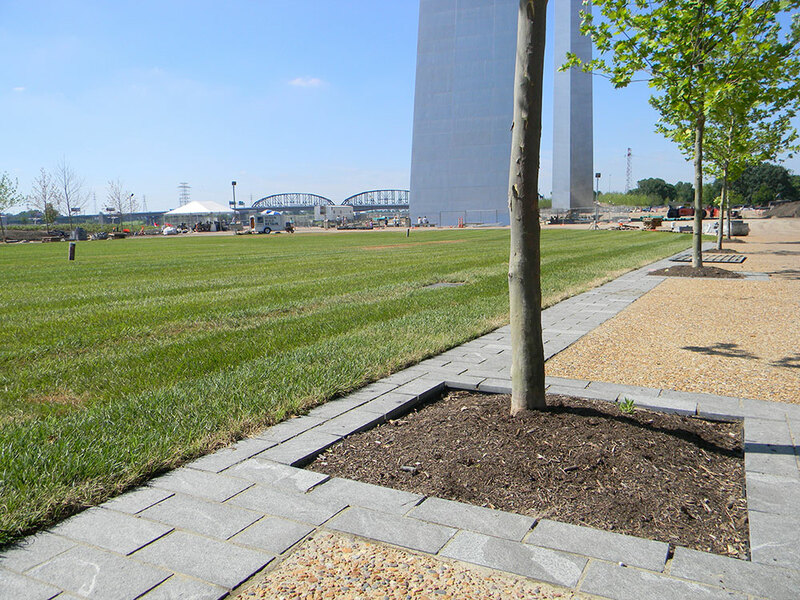 The usual paver on a sand bed installation detail uses a stone unit that is just 1 1/4" thick compared to clay or concrete manufactured pavers which are at minimum 2 1/2" thick. It is best when used as a rigid system set on mortar setting bed. © 2019 Rosch Company | All rights reserved.